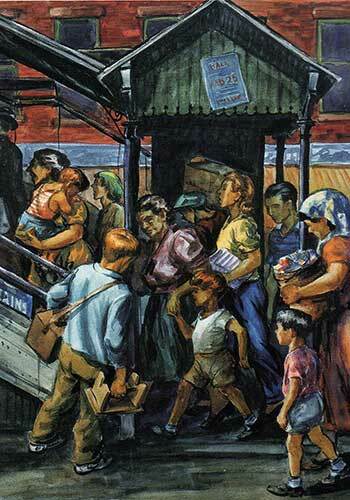 During the early and mid-twentieth century, New York City constructed a massive transportation system, layering elevated highways, subway tracks, and rail lines to create the complicated web we are familiar with today. 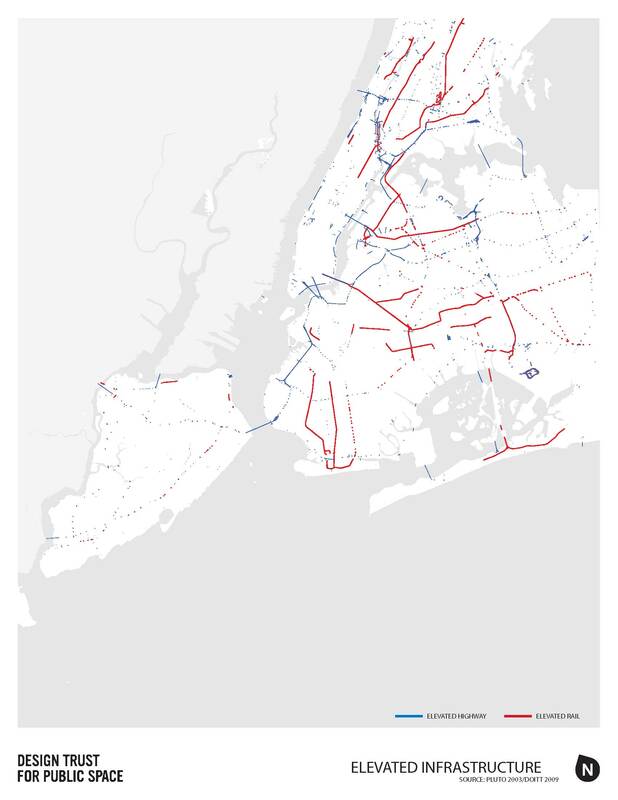 While this network has undoubtedly contributed to NYC’s physical and economic growth, it has also provided an untapped public asset: 700 miles of unused space (nearly four times the size of Central Park) beneath the city’s elevated transportation infrastructure. 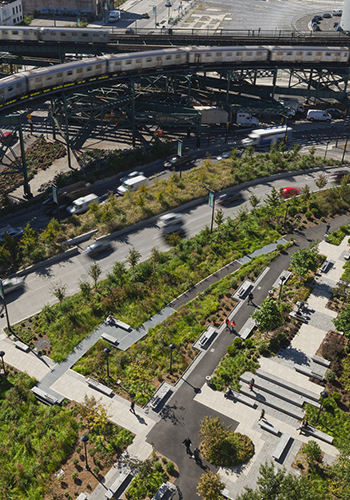 In a comprehensive new report resulting from a two-year-long study, the Design Trust for Public Space and NYC Department of Transportation (NYC DOT) highlight sustainable ways to rethink these residual spaces. Addressing complex problems such as noise, safety, and lighting, the new study builds off of the success of the Design Trust’s 2002 study, Reclaiming the High Line (“the study that catalyzed efforts to save and reprogram the decommissioned rail line”). The result is a comprehensive document intended to inspire public and private investment in some of the city’s most neglected public spaces. 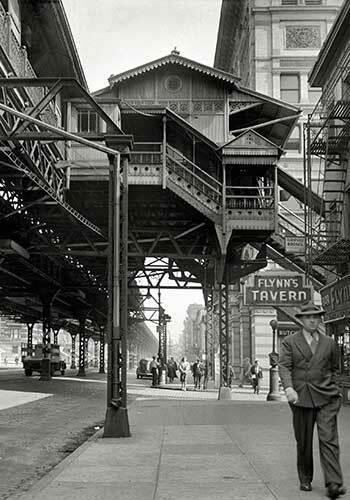 In many ways, the elevated railroad is a relic of an age before zoning when people, especially the poor, were forced to live in hazardously close proximity to the factories where they worked. And while the els remains popular today — particularly in Brooklyn, Queens and the Bronx — Campanella claims that the fact that el-space “is almost universally described as dark and oppressive is an inaccurate cliché.” The quality of light beneath elevated tracks can be “exquisite” and the sense of enclosure created by the columns “yields an effect reminiscent of an avenue of mature trees … a kind of sturdy steampunk Elm Street.” Such sentiments are the first inklings of design inspiration the study provides. Focusing in on elevated train lines rather than elevated highways, which are more relevant in other U.S. cities, the Design Trust for Public Space first assessed the inventory of existing el-space to identity opportunities and constraints. Surprisingly, these opportunities and constraints have largely remained unchanged since the 1960s when Jane Jacobs called attention to them in her seminal book, The Life and Death of Great American Cities. These physical structures divide low-incomes neighborhoods and produce noise, darkness, and dirt; on the other hand, the els have also brought people, commerce and cultural vibrancy to these areas. The call is the same now as it was then: Reconnect communities divided and affected by elevated infrastructure and turn these el-spaces into a positive resource. 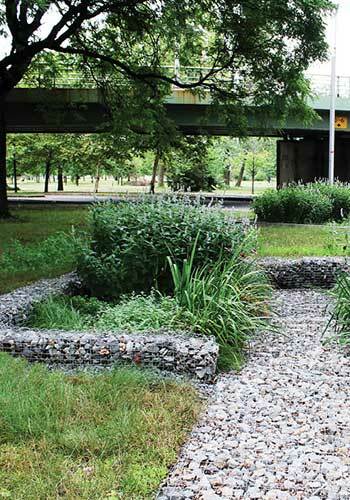 In Flushing, Queens, the Highway Outfall Landscape Detention (HOLD) System, invented by DLANDstudio, uses a low-cost, flexible, plant-based system to collect and filter stormwater from drainpipes on the elevated highways that run through Flushing Meadows Corona Park. This system absorbs and filters pollutants such as oil, heavy metals, and grease out of the water that drain off of the elevated highways, leading to cleaner runoff entering the city’s waterways. The system’s ability to retain water during heavy rain events also helps reduce flooding. 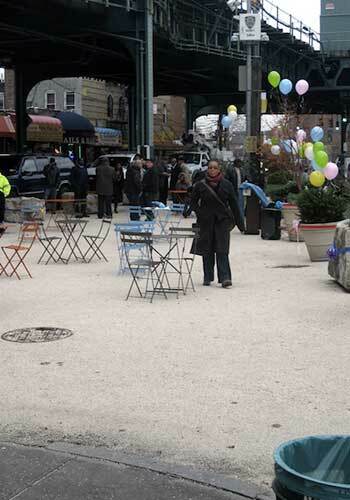 In 2011, the New York City Economic Development Council (NYCEDC) and the City Council combined forces to modernize underutilized market space, add new retail space, and construct a kitchen incubator underneath the Park Avenue elevated train station between 115th and 116th Streets in El Barrio. 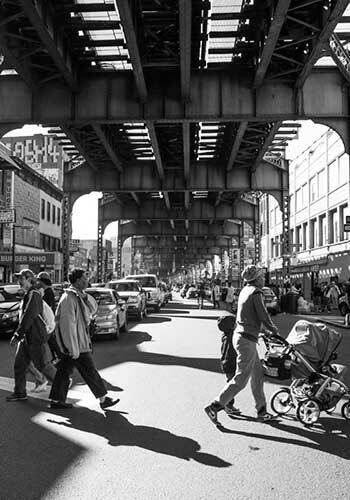 Despite significant public investment in the area, “the new La Marqueta has struggled to attract visitors and retain retailers.” Yet just a block north of La Marqueta at 116th Street, salsa dancers have congregated under the tracks every Saturday evening in the summer months for years. 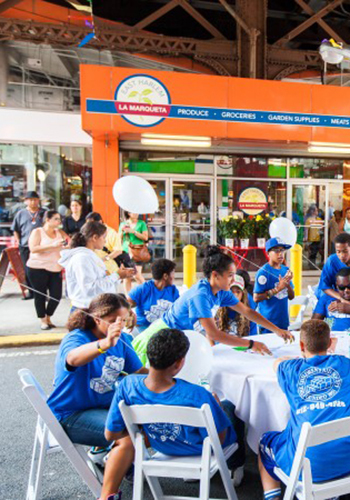 In an attempt to revive the informal spirit the market once had, City Council speaker Melissa Mark-Viverito launched La Marqueta Reto (La Marqueta Reblooms) in 2014, an initiative to bring street vendors, a farmers market, and other community events back into the space. In a dense city like New York, residual spaces under elevated transportation infrastructure can no longer be an afterthought — and these spaces in NYC are only a small piece of the more than 7,000 miles available for reclamation in cities across the country. The Design Trust for Public Space report further emphasizes the need for adaptive reuse of these spaces, looking at the infrastructure that gets us from point a to point b and creating a much-needed public space as point c.